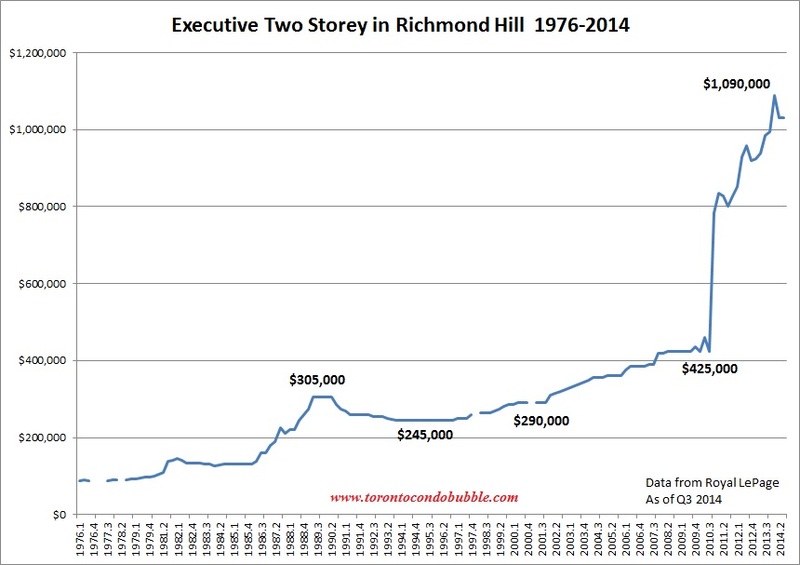 Is there a housing bubble in Richmond Hill, a suburb north of Toronto? You tell me. 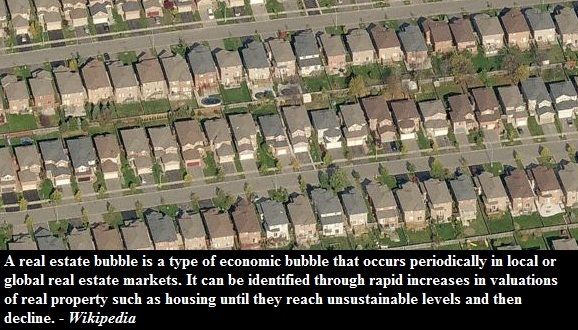 Compare the definition above to the graph below. 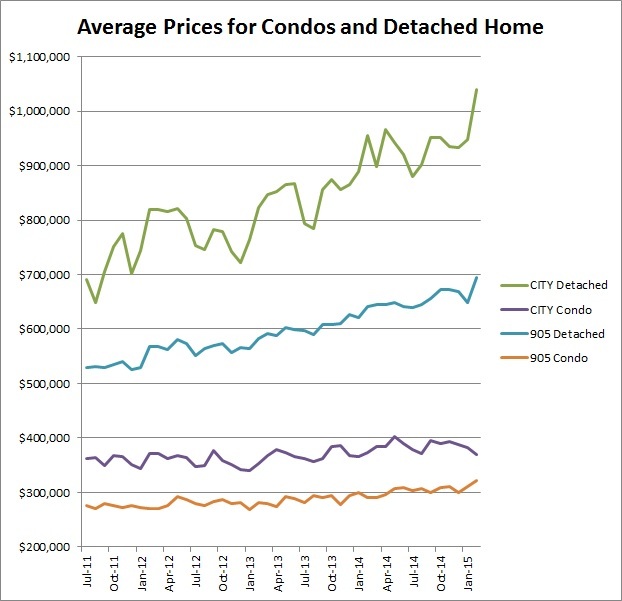 Meanwhile in the City of Toronto, detached home prices went up by almost 9% to $1,040,018 in February 2015 compared to a year earlier. Toronto condos went down by 1%.